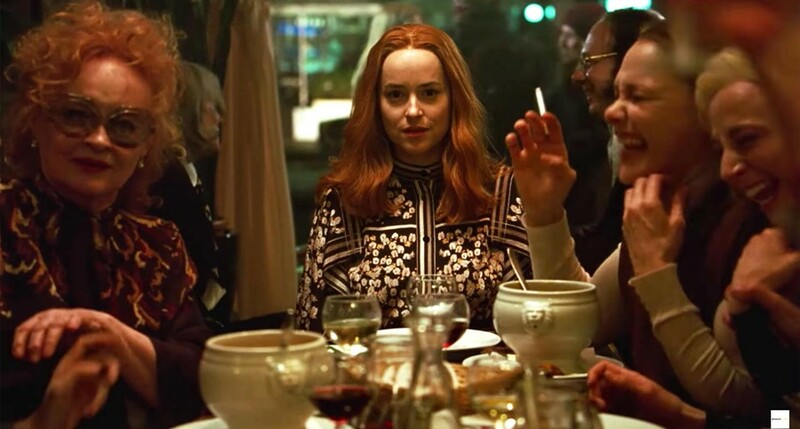 The reboot of Dario Argento’s stomach-churning 70s horror Suspiria will be released in November, but Amazon Studios have just released the first trailer. It’s fronted by Fifty Shades star Dakota Johnson, who plays a young American ballerina that joins a world-renowned dance company where a bloody nightmare begins. She appears alongside Tilda Swinton her po-faced rival, a bedraggled Chloe Grace Moretz, Mia Goth, Lutz Ebersdorf, and Jessica Harper in the stellar cast. Filmmaker Luca Guadagnino of Call Me By Your Name fame is at the helm. While this teaser is filled with suspense, the footage of the film debuted at CinemaCon last month was considerably more gruesome. Viewers described scenes of dancers being ripped apart, broken bones, and blood. However, the teaser does include a quick flash of what appears to be maggots eating a woman’s face, and possibly a human rib being placed on a desk. Guadagnino has ditched the technicolor palette and iconic prog rock soundscape of the original film and gone with a “cold, evil and really dark” reimagining that was scored by Radiohead’s Thom Yorke. Watch the trailer below.